This sign is a throwback to the retro feel of America. 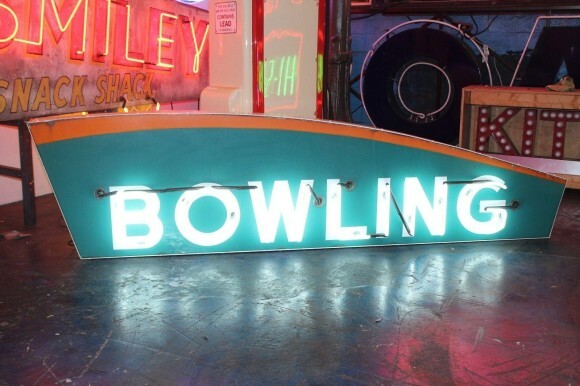 This Bowling double sided porcelain neon is made in light blue and orange. The sign would have hung outside of the Ally to promote bowling. The neon color is a basic white light.